Custom Designed Non-ASME Pressure Vessels | Meyer Tool - Meyer Tool & Mfg. 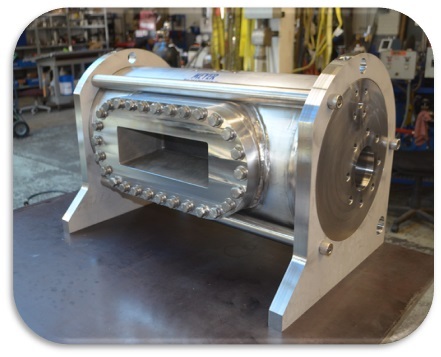 ​Any pressure vessel built by Meyer Tool & Mfg. to ASME (The American Society of Mechanical Engineers) code will be extremely safe. This is because of a generous safety factor coupled with demanding standards for fabrication, inspection and testing. However, sometimes a pressure vessel doesn't need to be built to that standard. That's why Meyer Tool also builds non-ASME pressure vessels. 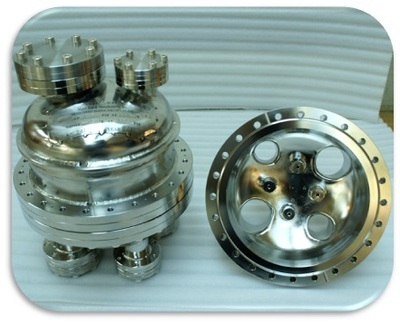 ​“Pressure vessel” is a broad term. It could be a tank for holding a harmless liquid, a heating system boiler or an essential piece of a complex chemical processing facility. At Meyer Tool, we have experience with all of these. 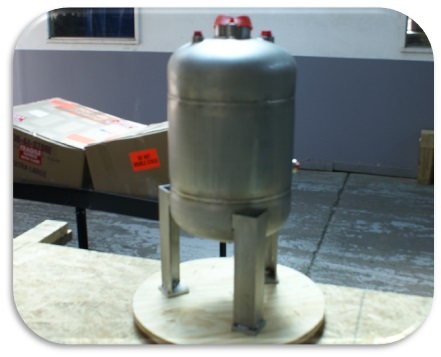 We've fabricated custom-designed pressure vessels large and small — from stainless steel, aluminum, carbon steel, copper and exotic alloys. 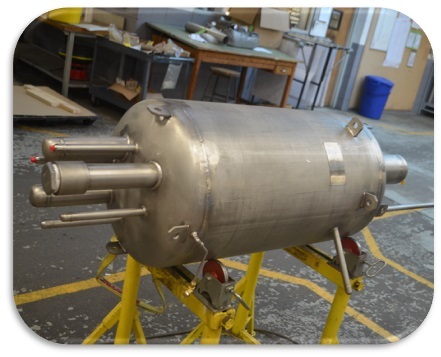 To build ASME code pressure vessels, we maintain an ASME Section VIII, Division 1, "U" stamp Certification. Our welders comply fully with the requirements of both ASME Section IX and the European Pressure Equipment Directive (PED). For pressure vessel repair, we carry a Certificate of Authorization "R" stamp from the National Board of Boiler and Pressure Vessel Inspectors. In short, we completely understand ASME code requirements. If the risks or consequences of failure are high, these standards are essential. Still, what if you're handling non-hazardous materials at relatively low pressures? Why pay the price for safeguards your pressure vessel will never need? 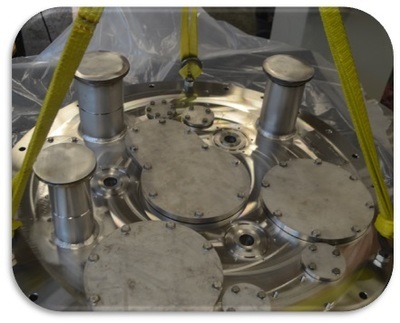 This is why, in addition to ASME code vessels, Meyer Tool builds custom-designed non-code vessels. Our non-code pressure vessels are still built to extremely high standards. We wouldn't put our name to them otherwise. Designs incorporate a generous safety factor, materials come from dependable sources, and the same certified welders perform the fabrication work. The difference is, we design and manufacture them to be fit for purpose, rather than to meet ASME’s demanding requirements. In short, the fact that we build ASME code pressure vessels means you can also trust our non-ASME pressure vessels. Just be sure to use them in the right applications! ​At Meyer Tool, we build high-precision fabrications for the most demanding customers and applications. From design and engineering to fabrication, inspection and test, we ensure all our work meets the highest standards. Our processes are organized to carry out prototype and small-quantity production with short lead times. Our specialties include custom vacuum chambers, custom cryogenic piping systems and, of course, custom ASME code pressure vessels. If you don't need to meet ASME code, why pay for it? To learn more about how we can make custom-designed non-code vessels that meet your needs, call us or complete our project request form today. 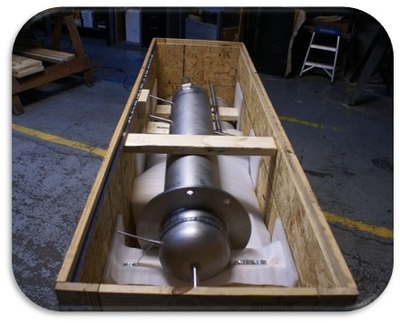 Begin building your custom pressure vessel today!